Be the first to share your favorite memory, photo or story of Sondra. This memorial page is dedicated for family, friends and future generations to celebrate the life of their loved one. Sondra Kaye Wilson, age 64, passed away Wednesday, December 19, 2018, in Lexington, Kentucky. She was born in Todd County, Kentucky to the late Houston G. and Viola Tabb Wilson, on December 13, 1954. 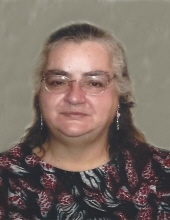 Sondra was a member of Northside Christian Church, and was currently attending Grace Baptist Church in Lexington. She retired from Lexington Fire Department on August 1, 2010 with twenty four years of service as an office clerk assistant at Station 1. She enjoyed crafts, painting ceramics, and making beaded ornaments. She loved to be involved with church activities, and especially Vacation Bible School. Sondra volunteered with the Fire Department Toys for Tots program, and working at voting polls. She was a 1973 graduate of Bryan Station High School. Sondra is survived by her brothers and sisters, Dale H. Wilson of Georgetown, Leland N. (Carol) Wilson of Lexington, G. Wayne Wilson of Lawrenceburg, Martha (Tim) Rogers of Richmond, Bonita David of Lexington, and Brenda (Bruce) Starwalt of Georgetown, including a special sister, Olivia (James) George of Lexington. She is also survived by her 9 nephews, David, Leland S. Josh, Mark, Stacy, Nathan, David P. Richard, and Brad, and 2 nieces, Cyndi and Sherry, and numerous great nephews and great nieces. Sondra is preceded in death by, 2 sisters-in-law, Amy and Sue, 1 brother-in-law, Chester, 2 nieces, Karen and Kimberly, and 2 great nephews, Miles and Tyler. Visitation will be Friday, December 21, 2018 from 5pm to 8pm at Tucker, Yocum & Wilson Funeral Home. Services will be 2pm Saturday at the funeral home with Minister Tommy Simpson and Pastor Steven Price will be officiating. To send flowers or a remembrance gift to the family of Sondra Kaye Wilson, please visit our Tribute Store. "Email Address" would like to share the life celebration of Sondra Kaye Wilson. Click on the "link" to go to share a favorite memory or leave a condolence message for the family.